8 – LED Light Therapy. The highly effective, painless, skin treatments dramatically improve the appearance and texture of the skin. 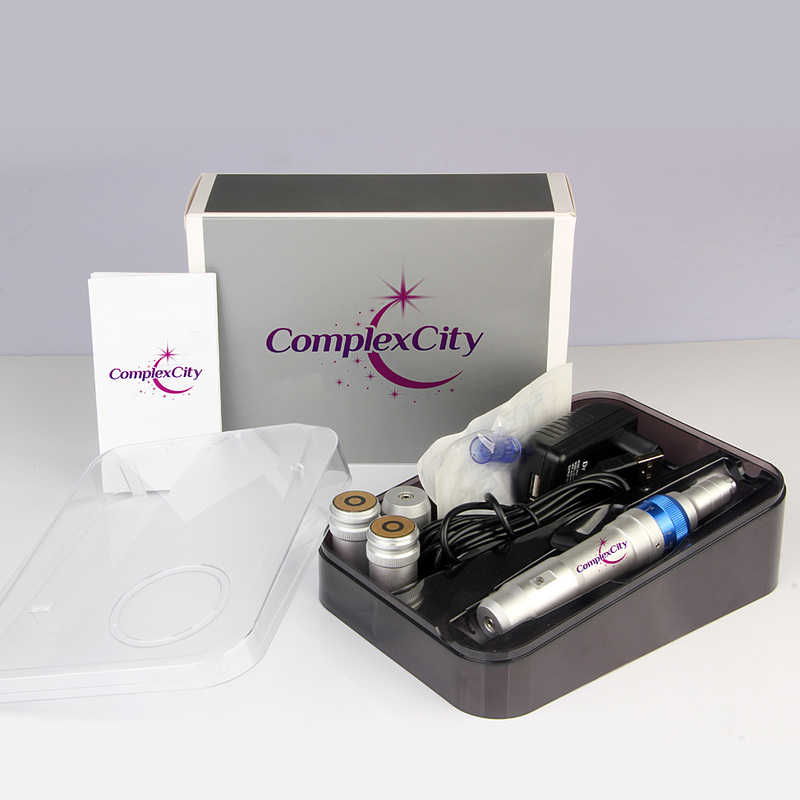 The combination treatments provide immediate visible results from the very first time. Jet Clear will gently “pressure wash” the skin. This gentle cleansing can unclog pores and remove any debris that has naturally built-up in the skin over the years. Acne treatments are often done for deep cleansing and healing enhancement, producing phenomenal results. In addition, each treatment session provides micro-circulation, volume and plumping, skin tightening and collagen building to the treated area. 1 – Hydro-dermabrasion handle with 8 tips. 2 – Micro-dermabrasion handle with 9 tips. 3 – Spray gun 1 pc & Oxygen injector 1 pc. 4 – Microcurrent 2 pcs. 5 – Skin scrubber 1 pc. 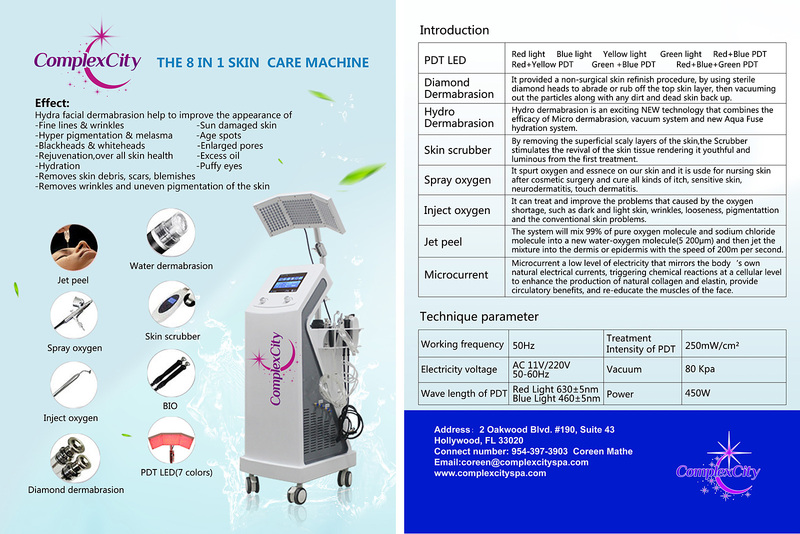 6 – Oxygen jet peel (high pressure).